We start off with the premise – Human beings are good. Absent any constraints, human beings are inclined toward doing good. It is a fair assumption that have stood the test of time and the institutions, at an aggregate level, have for the most part endured and advanced human prosperity and happiness on account of the fundamental premise. As we continue to thrive and move forward and forge and foray into new branches of knowledge and gather insights into our worlds, internal and external, we have a little more headroom to reach out and engage and contribute to the well being of other people that may not serve any immediate vested interest. Along the way, people have gathered a mix of different capital of various magnitudes – economic capital, intellectual capital, and social or reputation capital – and hence, they are in a better position today, than any time before, to be able sprinkle this capital across local and non-local communities. Thus, economic capital may translate into micro-lending and charity and endowments, intellectual capital may translate into voluntary time associated with teaching and mentorship, and social or reputation capital may translate into giving people opportunities. There is a far greater degree of awareness of larger issues that impinges on the advancement of the human race … issues around environment, conservation, global sustainability, clean energy, medical, basic infrastructure matters, democratic values, food, et al. And to that end, NGO’s, foundations, wealthy donors, corporations, governments, taxpayers, et al have contributed immensely to all of these causes. The argument was that if corporations ought not to focus on profits and social responsibility since those are competing outcomes that dip into a shared pot of responsibility of enhancing shareholders’ wealth. Yes, the argument has some merit if we were to reduce this argument to fiat consideration. But given the increased awareness of people in a world that is globalized and is under a spotlight of rich social media, this argument carries less weight today than more early years in business history. Talent has indeed become a prized asset, and companies set up structures, with the profit motive in mind, to harness the asset in a needful manner – all to finally serve the interests of the shareholder. But talent has also become fickle and mobile; it is becoming relatively more difficult to handcuff talent to the steering wheel of an organization. The organization is thus, for the sake of long-term sustainability, have to create structures that will encourage loyalty and engagement among the employees. And thus, the organization has to espouse higher aspirational ideals, which may immediately sacrifice short term profits for long term sustainability. 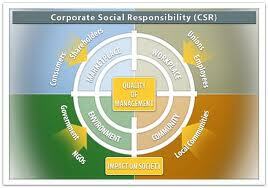 I contend that corporate social responsibility is becoming another factor that will increase in importance over the passage of time. So how do the flow of such events and the presumption of good tie into employee engagement? To stretch the above argument further, it is important for company to provide a supportive framework to allow employees to distribute their capital, should they choose to do so! I am not suggesting that people must distribute the capital, but I am suggesting that they have the opportunity to do so. And when they do, they aptly get recognized because it is still a capital that is being distributed generally with no expectation of immediate return. The returns maybe illusory with respect to formulating tangible financial metrics, but nonetheless it has a lot of importance. Thus, it is important that there are channels and applications and systems in place to encourage social good within the ranks and files of the employees. 1. There are over 1million charities and foundations. 2. 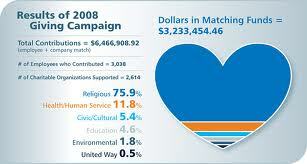 The total amount of revenue associated with these charities and foundations are over $1.5 trillion. 3. Almost 50% of the amount is driven by private donations, of which $300 billion are private individual contributions. Private donations represent estates, bequests, etc. 4. 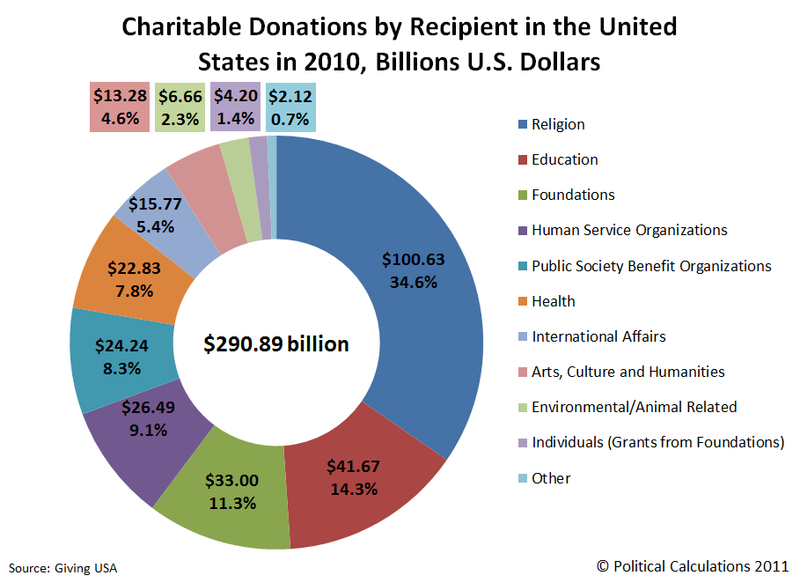 There are over 20 million people employed in charity and foundations in the US. So clearly this is a big and powerful sector. And if companies can provide the structure to support the cause of community engagement among employees, that would only mean that they magnify their community footprint, and hence will have access to the new millennial generation that transcends the extrinsic provisions of the employer-employee contract. Posted on October 14, 2012, in Charity, Corporate Social Responsibility, Employee Engagement, Extrinsic Rewards, Intrinsic Rewards, Recognition, Rewards, Social Causes, Social Systems and tagged corporate accountability, corporate social responsibility, employee engagement, employee recognition, extrinsic motivation, intrinsic motivation, social causes, social recognition, social systems, sustainability. Bookmark the permalink. 3 Comments. After alll I will be subscribing in your rss feed and I am hoping you write once more very soon!